While a great many Americans have been focusing on the possibility of another stimulus check, the $1000 Emergency Energy Rebate has been flying a bit under the radar. In case you’re not aware, President-Elect Obama has floated the idea of enacting a windfall profits tax on “excessive oil company profits” in order to fund an immediate $1, 000 emergency energy rebate for American families. While it remains to be seen whether or not such an idea would gain traction given the recent (and dramatic) drop in energy prices, it’s still listed on Obama’s website. It was also listed as one of the energy-related agenda items on Change.gov as recently as last Friday, though all of the agenda items (not just energy-related) have since been removed. I have to admit that it’s not entirely clear to me how this is an energy issue. Sure, it would be done in the name of high energy costs, but it really wouldn’t be any different than a second stimulus check. And besides, wouldn’t you expect the oil companies to simply pass the added cost of the windfall tax on to the consumers? We wouldn’t need any government handouts if the government would scrap ” APEC”, Asian-Pacific- Economic-Cooperation that is responsible for the loss of hundreds of thousands of our jobs. Keep our jobs here and the working people don’t need handouts.They would be paying taxes,wouldn’t need unemployment,welfare,food stamps and our economy would be thriveing. You bring up an interesting point about this “windfall profits” tax. It can only be applied to American companies. The effect would be to harm Americans while benefiting foreigners. Stupid idea. The gas is cheap now. As to “stimulating the ecomony” they should’ve learned from the first rebate whose effect was transient at best. As to “windfall profits”, somehow people forget about all the regular employees of these companies who get hurt when their companies show less profit. I don’t work for oil industry, but I work for a Fortune 500 IT company that still shows nice profit even in this economy. Guess what – I pray that Obama doesn’t tax it more, although, given that my company is multi-national there is no chance of it. But while I might not benefit quite as much as some executives or institutional shareholders when the profits are great – I still benefit, and I sure as hell am likely to hurt a lot more than these rich people if my company’s profit falls. And guess what – employees who are much lower on the corporate ladder than I am are likely to hurt a lot more than I am. While we engineers and scientists are sometimes affected by layoffs, those who work on conveyor belts in manufacturing are almost affected a lot more. So many people forget who signs their paychecks. There is no such thing as “windfall profits,” and the phrase is used by the political Left to make profitable companies seem evil. I find this completely repugnant. Did Palin impose a windfall profits tax on Alaskan oil? It almost makes you want to move to Alaska, every man, woman and child got $1200 this year, a family of 4 gets over $13,000! But then I remember the summer I visited Alaska, the snow in June and the mosquitos the size of cars. I think I’ll stay in Cali. …our U.S. “progressive” (graduated) income tax is likewise non-Constitutional. The very brief 16th Amendment to the Constitution in 1913 did authorize Congress to directly tax personal income, but it did not change any other parts of that Constitution — and certainly did not legally authorize non-uniform taxes based on ‘ability-to-pay’ of individual citizens. However, the socialist fever of the American ‘Progressive Era’ wasn’t concerned with fundamental legalities — ‘Soak-the-Rich’ was the theme. Average Americans were not even subject to the new Federal income tax — but that soon changed. Rich: To be fair, this was part of his platform throughout a large portion of the campaign. Not saying that makes it right, but it’s not something that’s just cropping up now. Disgusting. I voted for Obama because he was the lesser of two evils, imho, but between his financial policies and his thoughts on gun control it makes me second guess my vote. I don’t need or want this money. These companies are bloody huge and just because they have done well for themselves doesn’t mean they’re evil or should be punished for it. If there are shenanigans going on via tax loopholes etc then by all means fix that but windfall taxes REEK of socialism and it completely disgusts me. in general, i’m anti-rebates, but i hold a special grudge in my heart for oil companies. don’t get caught up in the “they only make 7%” profit b.s. 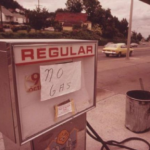 the reality is that due to their pricing strategy (completely in their control, by the way), they have made more profit than any company in history while gas prices skyrocketed. the price of oil is not within their control but their pricing strategy is and i support holding them accountable for theft. Uhmmm…. If someone wants to give me a thousand bucks, I’d be thrilled — it could go back into savings to help recoup the hundred thou I’ve lost from my retirement savings in the current crash. But “emergency energy” rebate? Say what? My gasoline bills are now back in the affordable range — and if I get laid off, as I expect, they soon will drop to almost nil. Electric and gas bills are also well below a grand, as I’m having to leave the heater off this winter by way of trying to save a few pennies to help tide me over the predicted layoff. Why don’t we rename it? How about “the Shafted American Citizens Rebate”? Then I’d feel a lot better about accepting the money…. Hmmm… Now, who can we shaft to extract the money to fund the Shafted American Citizens Rebate? Interesting discussion… Regarding Section 8, what does that say about progressive tax rates? The rates certainly aren’t uniform, as they escalate depending on how much you earn. Congress can NOT legally impose a ‘special’ (non-uniform) tax against a particular person, group, state, or business. A “windfall profit tax” is both of those. If taxing oil companies and giving the profits to citizens is “theft” or “socialism” then the 2 biggest “socialist” or “thieving” state governments in the US are Alaska and Texas. Alaska gives all residents (including children) a check every year straight from the oil companies. Texas takes money from the oil companies and funds its university system. It’s funny, but not surprising, how the people in those states, regardless of political party identity, don’t seem to ever be interested in giving back their benefits. People who want to become more educated can look up the Alaska Permanent Fund and the Texas Permanent University Fund. Now I would say there is a sensible objection to this plan. Rather than creating more bureaucracy to give out rebates it makes far more sense to simply remove the existing bureaucracy which already hands out massive government subsidies to oil companies. This would make the government cheaper to operate and force the oil companies into a free market. Of course, the downside to this plan, compared to Obama’s, is that the oil companies would raise prices to offset the subsidies and people wouldn’t have the extra money in their pockets. So expect the majority of people to support Obama’s plan. But frankly if you consider such a plan to be “socialist” you are just informing people that you are completely ignorant to what socialism is. Could you provide a link to the Energy Rebate that Governor Palin signed? I’m not Alaskan, so I haven’t heard about it. Is there another bill that passed the legislature that the governor signed? Thanks. Um, didn’t governor Palin do exactly this in Alaska this year? In addition to the royalty checks all Alaskans get this year they got a $1200 energy rebate funded by additional taxes on oil companies. I guess if it’s good enough for republicans…. I am kind of iffy about this idea. First of all, there are a lot of folks who won’t benefit. I would almost definitely be one of them. But also, I agree with some of the other comments that “windfall” is a hard thing to quantify. Honestly, given the state of the economy, I think any stimulus package is a bad idea. That’s not to say that I wouldn’t love some money from the government. But, being unselfish for a moment, we’ve already given out way too much money to corporations. To have the government give out even more money just doesn’t seem like a great idea. And stimulus packages in the past have proved mediocre at best. People would need more than $300, which was all that could be provided when the economy was in much better condition. Instead of a stimulus package, why not use that money to keep the government running? If things get more dire, then we can revisit government help. After the bailout package, I think the government needs to be keeping its piggy bank in good condition. I am terrified of this happening. I already don’t qualify for any “rebates” – I am in too high of an income bracket, despite my $90K in student loans (non-deductible because of said bracket). I have a DRIP account that I use to buy $50 of Exxon stock per month, which then pays me in (albeit small) dividends. So my stock price is going to go down, or at least my dividends will be cut, and then they are going to give the money to someone else (because I am likely in too high of a tax bracket to “deserve” it). It really is straight up theft. Do you think this is a good idea? Most people take stimulus checks and put them straight into the bank. The best way to make them useful and to help the local and national economy would be to put a time limit on a stimulus debit card. If you had 6 months before the debit card expired, you would have to use it instead of putting it in the banks. That would be more helpful to the economy. Let’s see, Apple and Google make double digit profits, not a windfall. Energy companies make single digit profits (7-9% from what I’ve seen), windfall! See the logic in that? With the price of oil plummeting, I wonder how their profits will look this quarter? Maybe our government will craft a bailout for oil companies in the near future. My take? Obama was pandering to the ignorant masses who felt “oil companies are evil” and “Gosh I didn’t budget right and need more money in my pocket”. Sort of flies in the face of the fact that refiners are paying whatever the going rate is for oil (be it $140 or $40), and the government makes more from the sale of refined product (through taxes) then do the oil companies. Seems to have worked for him, after all we elected him, right? Right? Its a silly idea that smacks of pandering in the worst way. Everybody likes to vilify the oil companies (I’m not saying they don’t deserve it at times), especially when ExxonMobil makes $10+ Billion in one quarter. However, the media never bothers to mention what their revenues were in the same quarter- if you dig a little, you’ll find ExxonMobil’s profit margin isn’t anything fantastic (~7%). Of course, reality is a little more complex… but all that aside, I’d expect the oil companies to simply pass the cost of any windfall tax right to us, the consumer, which makes this a zero sum game. neilson makes a good point too- the oil companies could probably challenge the constitutionality of a windfall profits tax and win. I don’t like the idea one bit. It would be great to have some extra cash in my pocket but the whole idea of taking from the rich to give to the poor seems borderline Socialistic. If anything, the government should increase tariffs on Oil Imports and and offset that with a Energy Tax Credit to be given to everyone. It won’t work. Most of it will be saved or used to pay off debt. Nothing will be “stimulated.” The first stimulus gave us a small blip and that’s it. This one won’t even be a blip. — The Federal government has not the slightest Constitutional authority to create a windfall profit tax. This reminds me so much of when Carter was President. Lots of government meddling, and nothing but shortages to show for it. I can tell you from my studies in economics (currently in Grad school), I just don’t see how the government can afford to continue to do all of these handouts. Unless the government plans on (which I am scared of) printing up an unlimited amount of money. Maybe we should all be more worried about looming inflation instead of the recession. So would the rebate be limited to people that buy oil and gas? Hey I’m all for it if “The One” can tax the oil producers as well as the “evil oil companies” including OPEC, Russia and any other supplier. Somehow I don’t think that is going to work out so well though. I think this is ridiculous. Gas is under $2 a gallon and I live in the suburbs of D.C. I already pay almost no taxes because we have a large family (lots of deductions), and I don’t need the government taking money from corporations and giving it to me. I agree with you that is seems no different than the stimulus check. I hope this idea dies quickly, thanks for putting the information out there, I was unaware of this “rebate” before I read your article.